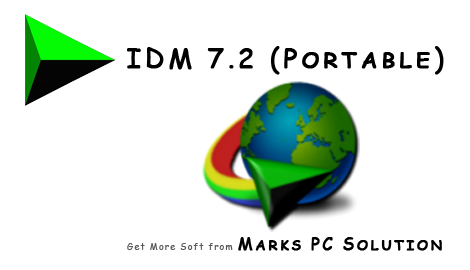 There is nothing new to tell about Internet Download Manager (IDM). Most of you are familiar with this amazing download accelerator. But still people look for the cracked version of IDM. Version changes over time. And people try to get the new activated version. Today I'm gonna share IDM 7.2 (Portable) with you! Before I begin, I should declare that this is not a registered version of IDM actually. But the settings of this IDM are modified. You don't need to upgrade or register this version. After 30 days, you will not get the notifications to upgrade. And you will enjoy all the advantages just like a registered version. But there is nothing to worry about. You can download this portable version of IDM without hesitation. It's just 4.7 MB. You don't need to install it. This version will never demand serial from you. And the download link is 100% free from ads, spams or malware. 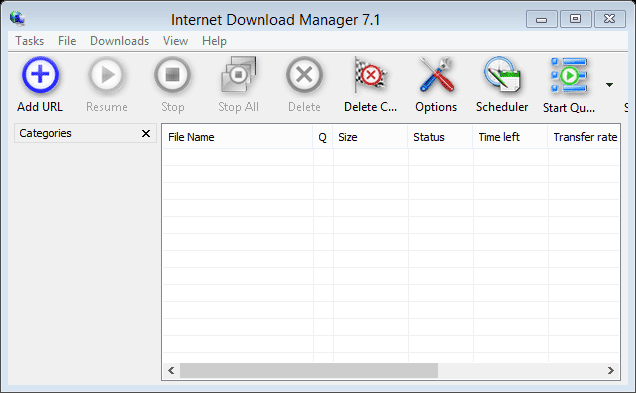 Downlaod IDM 7.2 Portable either from Link 1 or Link 2. Unzip the folder and move it to your desired location in hard disk. Now IDM will run on your PC. If you're asked to fix the network settings then do it. You're ready to download the web resources! IDM is a handy tool. So there is nothing to say about how to use IDM. But if you need any help, simply go to Help menu of IDM. And then choose Tutorials. You will get necessary tips there. After running IDM, hit on the Options button. You will get a great way to customize your IDM. Such as - browser integration, download location, network settings etc. Change the settings which you're familiar with. Otherwise don't damage the default settings. Guys, you can also try IDM 6.21 (Portable)! Note: This version will not notify you either for upgrade or update. If any notification appears regarding update, simply avoid it. need a serial code or work alone? what about the boring message of register? You just need to download and play. No serial, no registration . . .
Can this be updated by regular means or do I have to download an upgraded version? I have 7.1 and wanted to update to the latest version, but I don't know if it would get detected if I do so. all your links have been removed. can you reupload it ? Thanks for informing me. I'm uploading again . . .
google drive error on download link "Link2"
Try link 1 then . . . This is not portable. It created rules for starting with system startup and can't delete the folders since some DLLs have been associated with Windows. Portable in the sense that u don't need to install it! Use English plz . . .
this say 7.1 but message appear all the time say old version need to be upgrade to new version . this IDM portable only free up to 3 months only, then it asked for serial number.. can anyone help me on this? hi there, thank you for the link and the file.